Have you ever had the pleasure of experiencing a semi-brand new iPhone going to the waste side from one accidental drop to the ground? Maybe you’re just ballsy and like using the phone without a case entirely. This can be especially dubious to those of us who have the iPhone X, which costs over $1,000. For those of you who have had the unlucky dilemma of getting a cracked phone, then today’s your lucky day. Corning, the New York-based company that produces the glass for most of our smartphones (including iPhones and Samsungs) recently announced its new Gorilla Glass 6. Corning says that the glass will survive up to 15 drops from over three feet and is most likely going to be twice as good as the Gorilla glass 5 that most of us have on our smartphones now. There’s been a debate that while the thinner phones are harder to protect, the new edge-to-edge displays of the iPhone X and Samsung Galaxy are overall stronger smartphones. The larger bezels in the older phones would usually crack first and then lead to the rest of the phone cracking soon after. The only downfall of this new version of Corning’s Gorilla Glass 6 is that as glass becomes more drop resistant, it might be less scratch resistant. While the company has said that the new iteration of the glass will be as scratch resistant as the Gorilla Glass 5, you shouldn’t expect it to be any better than its predecessor. Mashable also reported that with this new version of the Gorilla Glass, there will be seemingly endless possibilities of innovation on looks and textures. Their “Vibrant” Gorilla Glass can easily take on the look and feel of different elements, including marble and wood. Corning's innovation director for Gorilla Glass states that "The picture's on the back, the texture's on the front, you combine the two and you've suddenly changed the way the industrial designers think about. 'What's my phone gonna look like?'" And the new glass isn’t limited to colors either. 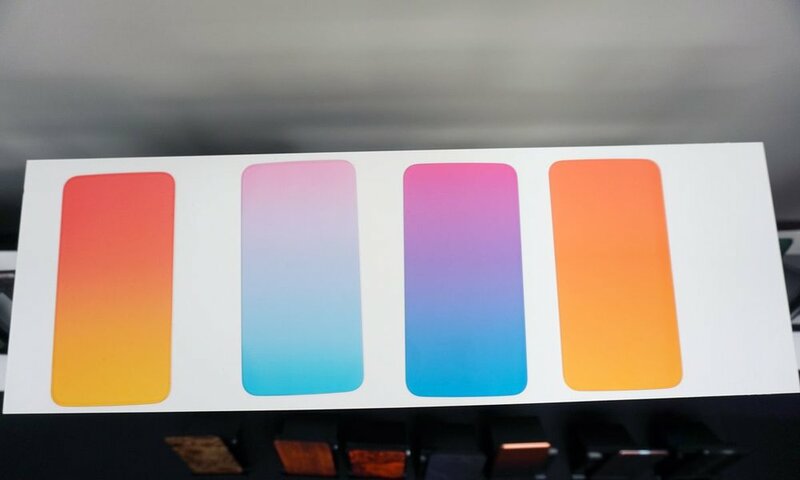 Mashable also reports that the new Gorilla Glass 6 will come in a variety of colors and gradients to choose from. This almost begs the question of whether you’ll want or need a smartphone case on your next phone. And in case you’re wondering how exactly Gorilla Glass is made, then check out the interesting video below from CNBC that shows the production from inside Corning’s upstate New York facility. While Gorilla Glass 6 is currently in production and available to smartphone manufacturers, it is expected to reach the general market within the next couple of months. So it should be on the next version of Apple’s iPhone and Samsung’s Galaxy. If you’ve had your phone cracked and excited for the new Gorilla Glass 6, then let us know in the comments section below. And don’t forget to subscribe to The Sitch for more updates on Corning and other entertaining reads.